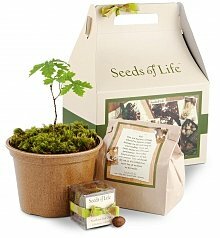 Send your sincere sentiments with our elegant selection of funeral gifts & flowers. 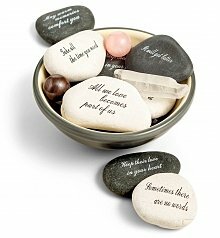 In times of loss and bereavement, it is always a considerate gesture to show affected parties how much you care with a funeral gift. 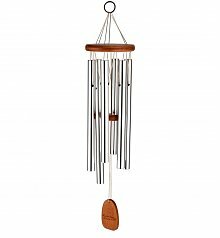 Both thoughtful and elegant, our funeral gifts help to honor the life of the recently deceased while also offering comfort to loved ones, family members, and friends. 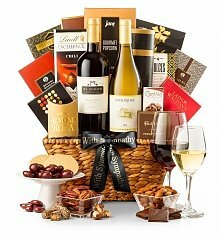 If you can’t be there in person to offer a hug or a handshake to the bereaved, sending an appropriate funeral gift is of paramount importance. 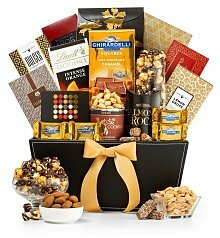 We suggest one of the following classic gifts express you sentiment: 1. Flowers. 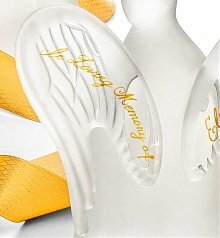 Express your sympathy and pay tribute with these. 2. 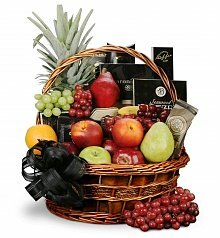 Food Basket. Eating is sometimes the last thing on the mind while grieving. 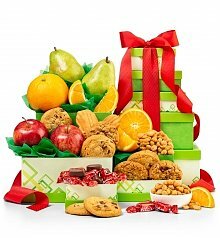 Providing snacks can make things a little bit simpler. 3. Personalized Gift. 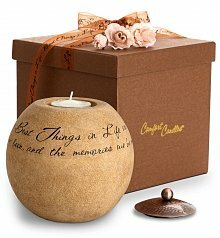 Celebrate the deceased's life with a remembrance gift personalized just for the recipient. When words fail, express your condolences and sweet sentiments with the classic gift of flowers. 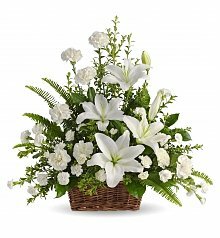 Flowers make excellent funeral gifts and are a great way to send your sympathy wishes from afar. With their bright colors and sweet fragrances, funeral flowers can light up an otherwise somber environment, bringing a sense of renewed life into the room. Your gift of funeral flowers will help pay tribute to the life of the deceased while also bringing a feeling of joy and appreciation to those suffering the loss. 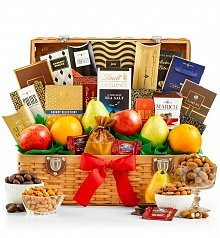 With their colorful designs and plenitude of gifts and foods to open, funeral gift baskets are a classy way to say “You are in my thoughts.” The delicious foods in our funeral gift baskets are also a great way to gently prod those affected back into their normal routine of eating. The practice of eating can also bring a crowd together and inspire friendly conversation, making everyone feel better. 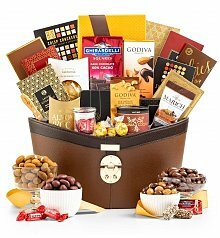 We provide a wide range of tempting and delicious snacks in our funeral gift baskets to ensure that everyone will be able to find their favorite food. 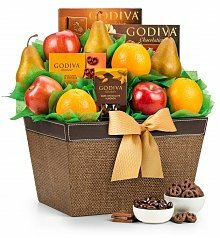 From flowers and fruit baskets to funeral gift baskets, whichever funeral gift you decide to send, you can rest assured that it will bring a much needed smile to the recipient’s face and likely all who surround them.